Xiaomi teases something new on Facebook, is it the Red Rice? 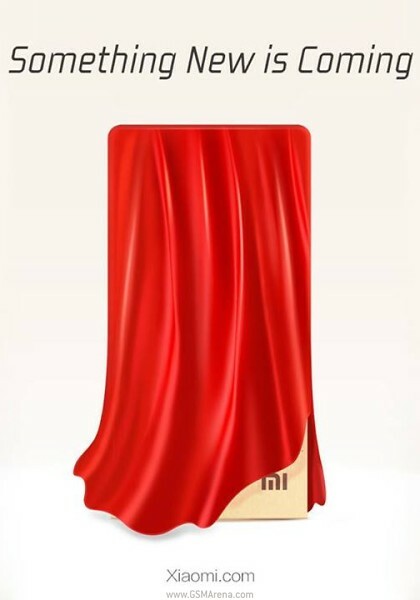 Xiaomi's Facebook page has a hot new addition - a teaser image of some kind of device sitting in a box behind a red curtain. Xiamomi teases it as "Something New is Coming" and we can bet it will turn out to be the upcoming Xiaomi Red Rice. The Mi-3 is hyped to feature a Full HD 5.5-incher at the front, 3 gigs of RAM to support a quad-core Snapdragon 800 chip with four 2.1 GHz Krait 400 cores. There will be two cameras on board, likely a 13 MP main one and a 5 MP front-facing one. There's talk of a Hi-Fi audio and a beefy 3600 mAh battery to power it along. UPDATE: According to a tipster with knowledge in the matter the leak is most likely of the Xiaomi Red Rice and not the Mi-3. The Red Rice will likely feature a 4.7" device and the first Xiaomi with a quad-core Mediatek MT6589T chip. It's expected to sport a price tag of around $160. 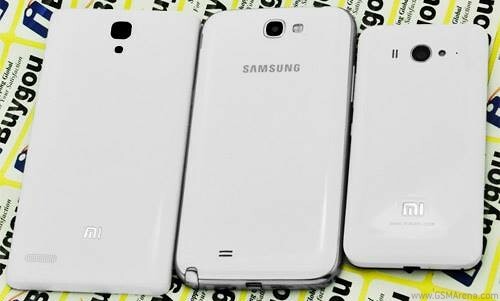 Also found on Facebook is an image of the Red Rice's back panel courtesy of Xiaomi's major Asian reseller Ibuygou. The same reseller points to end of August release of the Red Rice and October release of the Mi-3. Thanks, Bazan for the tip!